If you have any questions or want to enquire about dates, use our form to contact Fiona Mackay or see their website for more information. This is the north-west corner of Britain and it’s utterly magical: huge skies, sandy beaches, aquamarine seas, cliffs and caves. You drive – or cycle – for mile upon mile with mountains soaring into the heavens and ridges sliding into the sea. If you like big, remote landscapes, you’ll love it here; what’s more, you’ll pretty much have it to yourself. Mackay’s – they have the shop, the bunkhouse and the garage, too – is the only place to stay in town, its earthy colours mixing with stone walls, open fires and stripped floors to great effect. Bedrooms (some big, others smaller) are extremely comfy. They come with big wooden beds and crisp white linen, while Fiona, a textiles graduate, has a fine eye for fabrics and upholstery. You also get excellent bathrooms, iPod docks, flat-screen TVs and DVD players. Breakfast sets you up for the day – grilled grapefruit, whisky porridge, venison sausages, local eggs – so head east to the beach, west for great golf or catch the ferry across to Cape Wrath and scan the sea for whales. There’s surfing for the brave and the beautiful. Oct-May. Cottages open all year. Have you visited Mackay’s Rooms? Be the first to leave a review. Highland chic meets contemporary design, a real treat to the senses, perfect for relaxing after a day exploring the stunning highlands, generous bathrooms, luxury linens and private guest longe with coal fire for those chilly days. Mackay's has been offering Highland hospitality for over 100 years! A real family business that specialises in delivering the best of Scottish produce and style. Renowned for our breakfasts, friendly service and great selection of Scottish single malts. 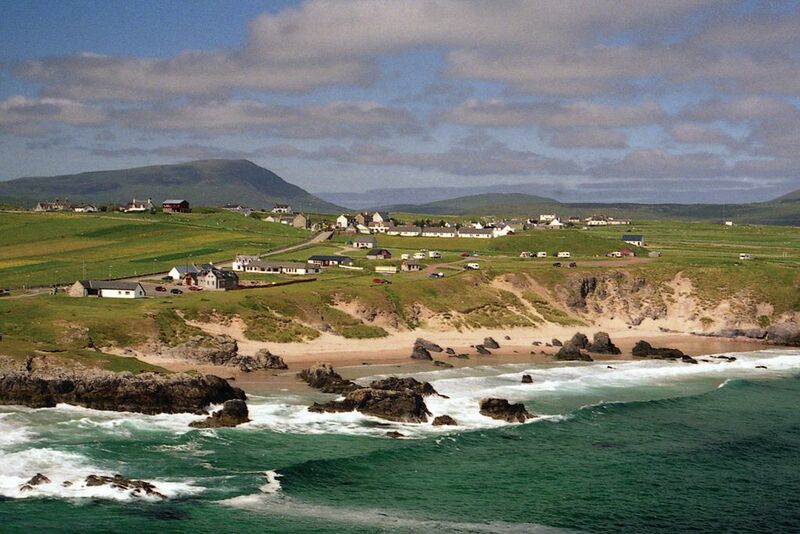 Conveniently located for Cape wrath, Handa Island and Sandwood Bay. Fantastic coast al location, walking distance to stunning North coast beaches and shores. Porpoises, puffins and a fantastic array of seabirds and wildlife. Great local Hill walks and scenery, Ben Hope, Ben Loyal and many local walks from the door.